A Tamil rights campaigner won more than 50,000 votes in the European elections - making her one of the most successful independent candidates ever. Jan Jananayagam gained more votes than some political parties in the London region and more than all the other independents in the UK put together. The IT consultant, a spokesman for the Tamils Against Genocide campaign, was backed by community groups. Her campaign was also boosted by the support of Oscar-nominated rapper MIA. Ms Jananayagam has been involved in the Tamil protests taking place in Parliament Square. Since April thousands of Tamils have staged sit-down protests and other demonstrations outside the House of Commons to call for a ceasefire in the Sri Lankan civil war. Ms Jananayagam, a former banker who used Facebook and her own internet site to mobilise support for her candidacy, had a range of policies including financial transparency, the environment and women's rights. But it was the alleged treatment of Tamils in her native Sri Lanka that provided the main focus for her campaign. She told BBC News: "It was one issue, but it appealed to a broad range of ethnic minorities generally. They identified with the wider civil liberties issues such as stop and search and how the anti-terror laws are being used to stop them. "Ordinary people liked it. I got a lot of positive feedback on my leaflet." 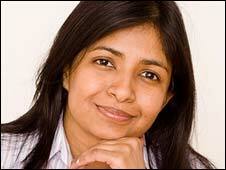 Ms Jananayagam also believes she was backed as a protest vote against the anti-immigration British National Party. "When I walked down the street, young Asian men would stop and say they had voted for me to stop the BNP getting in. "I hadn't been talking about that, I'd been talking about genocide, but a lot of people voted for me on the wider issue." She said it had been very difficult to tell how the campaign was going as it was "organic and chaotic" but she was very happy with the result. There have been a number of independent MEPs elected to the Strasbourg Parliament in different member states, including the Parliament's former president Pat Cox who was twice elected in the 1990s in Ireland. In 2004, so-called "metric martyr" Neil Herron made a splash in the North-East of England when he polled 39,658, or 5.1% of the vote, on an anti-EU ticket, although he failed to gain enough votes to be elected. Independents have traditionally had a hard time making their voices heard in British elections - particularly at the European polls, which use a closed "party list" system. Jan Jananayagam gained 2.3% of the vote in the London region, where she was standing. That was more than established parties such as the English Democrats, the trade union-backed No2EU, the Socialist Labour Party, Libertas and Jury Team, a new umbrella group for Independents, all of which were running national campaigns and had the benefit of party political broadcasts. Ms Jananayagam would have needed about 10% of the vote to stand a chance of winning a seat, but she did not enter the contest until the last minute, meaning she had just three weeks to mobilise support. Her campaign was given a major boost by Grammy and Oscar-nominated rapper MIA, who urged fans to vote for her on Twitter and said she would create a new song to download for free. 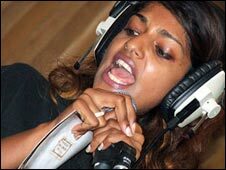 The Sri Lanka-born musician, real name Mathangi Arulpragasam, told Sky News Ms Jananayagam was "the first person that I've seen in politics who can actually raise questions and be about the people". The Tamil Tiger rebels, regarded by the British government as a terrorist organisation, were defeated last month after a conflict lasting about 30 years. The group fought for a separate state in the north and east of the island. The UK has a large Tamil community, but the Tigers' cause did not command support among all Tamils.